days in one concise paragraph? Memories of those times were probably made up of a series of hilarious moments with your closest classmates. 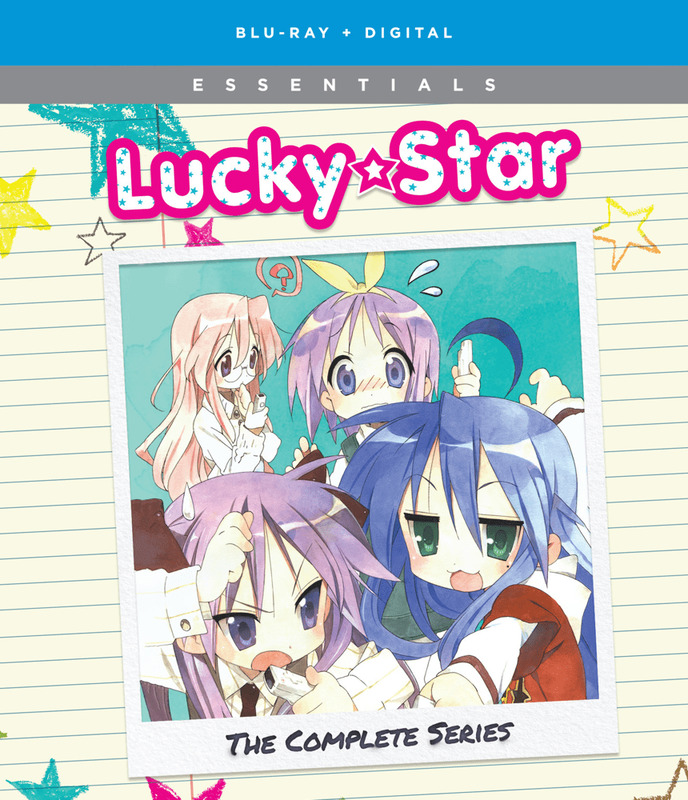 That's exactly what Lucky Star is all about. Meet Konata, a girl who's too obsessed with anime and video games for her own good; Miyuki, the cute, bespectacled living example of moe with an encyclopedic knowledge of all subjects; Kagami, the always serious but shy straight-man to Konata's constant teasing and pranks; and her younger fraternal twin sister, Tsukasa, a sweet and kind airhead. Follow their not-so-ordinary high school days as they try to answer every day questions like how to eat a chocolate cornet.